Thermal Comfort - HVAC | Unified Theory, Inc.
By Tim Herron and Dan Dickenson, PE of Unified Theory, Inc. Many industrial companies are faced with challenges of thermal comfort for their employees in large non air-conditioned plants. Even in an air conditioned office workers who share a common area can vary in their thermal comfort. Most of us have experienced the case where some employees are wearing short sleeves with others wearing layers including a sweater, while sharing a common work space. There are several factors such as metabolic rate, physical health, age, weight, level of physical activity and many other factors can influence a person’s thermal comfort level. 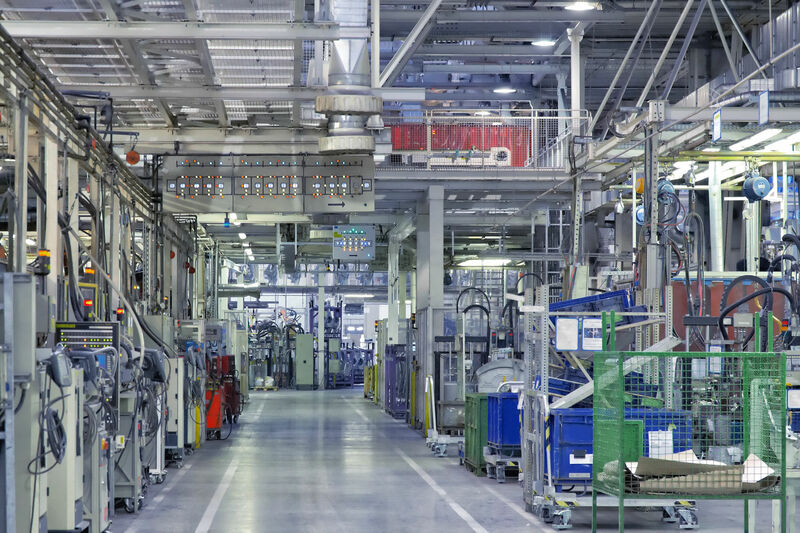 Not surprising, thermal comfort becomes even more complex in manufacturing environments without air conditioning because nearly every piece of equipment in the plant generates heat. Compounding this is the fact that often times the product itself can radiate heat. If you are faced with these challenges, there is hope and you have options. A good start to considering options to address this issue is understanding ASHRAE guidelines. ASHRAE’s 2013 Handbook Fundamentals has an entire chapter devoted to this subject of Thermal comfort. Another good resource is ASHRAE 55-2013, Thermal Environmental Conditions for Human Occupancy. The fundamental purpose for HVAC design is to provide for human thermal comfort and is illustrated by a graph identifying limits of comfort called comfort zones. A comfort zone is the optimum range of temperature and humidity intended to guide the designer of your HVAC system to optimize the built environment through the use of climate control. If a plant area is not temperature controlled, there are other options that can improve the current or expected conditions. 1. Provide air movement – providing air movement can provide some relief as it helps the body dissipate heat by acceleration of evaporation of sweat providing a latent cooling affect (which reduces as the air becomes more humid). While the objective is to provide air flow and a “breeze” which promotes cooling; high velocity can become annoying causing papers to blow around or hair to be blown into the eyes, etc. Generally, velocities below 180 feet per minute can avoid the issues. Keep in mind that temperature stratification can actually assist you so you want to be careful not to “stir up” the hot air accumulating near the high ceilings by the use of a large fan and simply pushes the hot air down onto your employees. 2. Employee control – allowing employees some control of their environment does improve thermal comfort. Organizations such as United States Green Building Council (USBGC) and their Leadership in Energy Efficient Design (LEED), Green Globes and ASRHAE recommend allowing the building occupants to have some control of their own environment as an important factor in Thermal Comfort. 3. Shield radiated heat or cold – heat from extremely hot or cold objects can be reduced by shielding or interrupting a line of sight. In this case, you can use insulation or durable blankets to reduce surface temperatures thus reducing radiated heat and heat loss to the adjacent space. 4. Remove conductive heat from the source – Convective and conductive heat from equipment can be reduced by providing local exhaust and hoods in keeping with the Industrial Ventilation Handbook, ASHRAE and many other industrial guidelines. The capture of heat at its source will reduce the need for large amounts of ventilation thus reducing overall building temperature and promoting physiological heat dissipation and a higher comfort level by employees. 5. Dress for safety and comfort – PPE and clothing allows for some adjustment in comfort in that lighter weight clothing that minimizes the “insulating” value of the clothing is best. Clothing that wicks sweat away from the skin increases the skins ability to evaporatively cool. Mitigating the [thermal] resistance of the clothing can improve or optimize the skins ability to sensibly cool. There may be an opportunity to work with your own Safety guidelines and clothing/uniform suppliers to optimize this potential portion of the comfort equation. 6. Consider spot cooling – the thoughtful introduction of air at or in close proximity to the work-station to provide an improved degree of thermal comfort. There are options depending on the amount of cooling needed. The recommended maximum temperature for a steady metabolic rate is less than 90 deg. F. Consideration of partial air conditioning or spot cooling can help to bridge the gap between the maximum plant air temperature and the “feels like” temperature provided by air velocity. There are many options to consider when looking for solutions based on the limits and challenges you face. There are solutions that can be implemented on a step or phased project approach according to budgets and plant downtime. If trying to cool without using AC, give these ideas consideration. And let Unified Theory, Inc. help. Reply to this post or call my office at 651-578-8100 and prepare to improve your thermal comfort.